Hessy Wa Dandora has vowed to finish all criminal activity in the city especially in Dandora. After finishing the infamous lady(Boyfriend also being hotly searched – photos next pages after pictures), another lady has come to the lime-lite threatening Hessy himself. Together with this new lady Hessy hs promised to give copper to other thugs: See Next pages. 😳😳😳😳😳 lakini aaaa Kayole iwekwe fence . 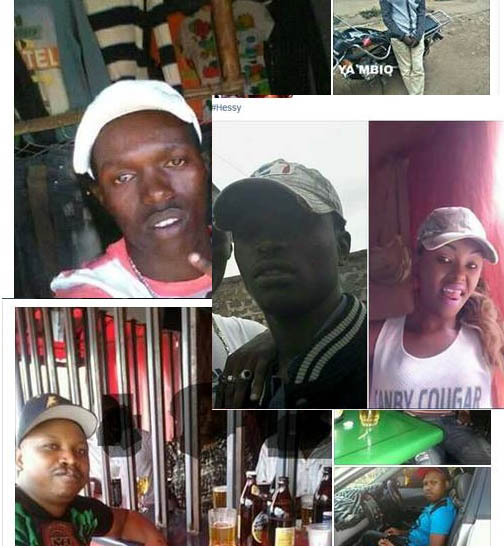 Eastlands under-cover cops have been killing and parading young criminals who are said to be members of the dreaded Gaza Gang. The cops first warn the thugs to change before hunting them. They operate in hotspot areas in Eastlands where crime is high. The cops have been giving members of the dreaded Gaza Gang sleepless nights because they strike without mercy. These cops refer to themselves as “Hessy” eg. 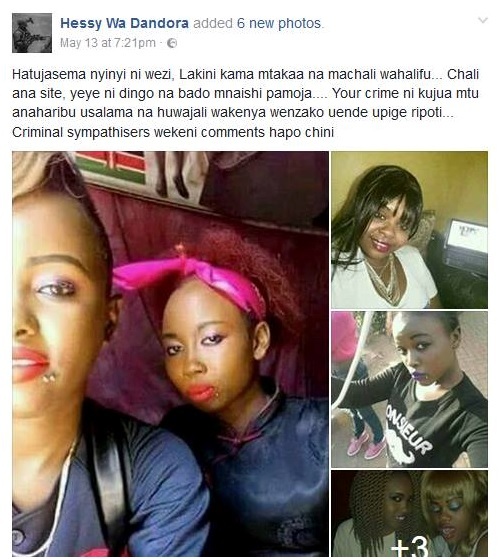 Hessy Wa Dandora, Kayole, Kariobangi etc. They first identify thugs and warn them to stop crime or surrender themselves to the police.